The pure lines of the Essence collection are bionically designed to provide a comfortable, ergonomic fit. Narrow proportions embody the sporty, sophisticated lifestyle reduced to the essentials. The eye-catching line, spanning the temples adds the finishing touch to the design. Silhouette’s Essence collection draws on the Austrian Company’s long tradition of style combining its signature strengths: Uncompromising Premium Quality and Unparalleled Comfort. Jagged edge or curve appeal? The shape of the face determines the shape of the perfect eyewear. The wearer’s mirror image reveals whether their face is oval, round, square, long or heart-shaped. As a rule of thumb, round or curved shapes lend a much softer appearance to squared faces, while square frames add definition to round facial features. Seems easy enough. Meanwhile, nearly any shape of eyewear will suit an oval-shaped face. The eyebrows serve as an important guide. If the upper contour of the eyewear follows the curve of the brows, it creates a balanced, open look. The Perfect Eyewear: Corrective Lenses Become The Ultimate Accessory When The Eyewear Shape And Facial Proportions Harmonise. Unparalleled comfort. Maximum flexibility and resilience. Silhouette is known for the perfect proportions. 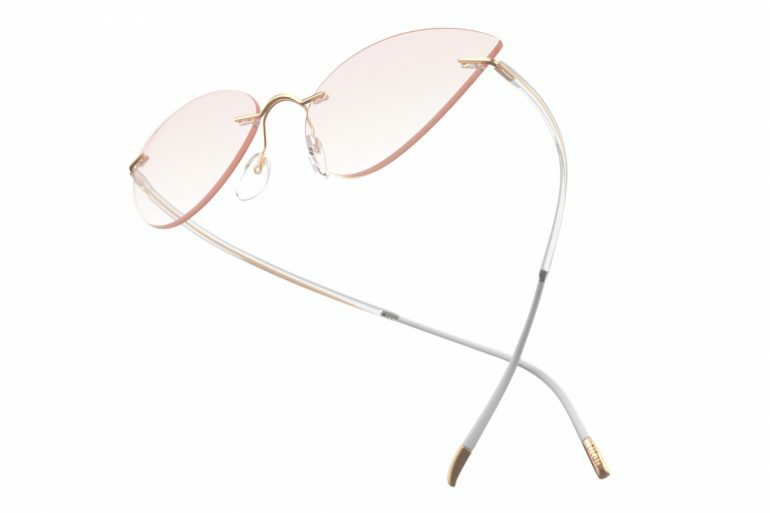 The collection offers most of the essential shapes and sizes, from round to square, and also a distinctive cat-eye model with a rose colour gradation and an octagonal model with a grey gradation. The attractive Fresh Colour Concept features twelve contrasting colour combinations suited to any skin tone. The titanium elements are produced with either a matte or glossy finish. The women’s models feature the radiant new colour nuances such as Rosé, Teal, White and Amber, while Men have the choice of Blue, Brown, Red, Blue Relax and Black. SPX®+, a durable and flexible material, developed by Silhouette, brings lightness to the Essence collection while guaranteeing the utmost resilience. Top-quality high-tech titanium and SPX®+ merge seamlessly above the cheekbones. The fluid transition provides maximum flexibility, and the intricate connective elements are easily adjusted. The material is also antiallergenic, UV-resistant and dimensionally stable.